Customer-type people, in particular, please note that I’ll be away from the 5th through the 13th. I’m taking a real vacation for the first time in 6 years, which means no internet access. Boy, do I shudder to think about what my inbox will look like when I get back! I’ll start working on orders as soon as I return and wake up properly. I’m shipping this today and tomorrow. I hope you all love it! It’s a new fiber, and delicious. The chart (see above photo) is all worked out. I’ve drawn heavily from the “Red Palm” sweater in Poems of Color. “Red Palm” has the subtle color shifts I aspire to with this sweater, so hopefully the chart translates to my yarn well. We’ll see- I haven’t swatched the chart! 8 oz. 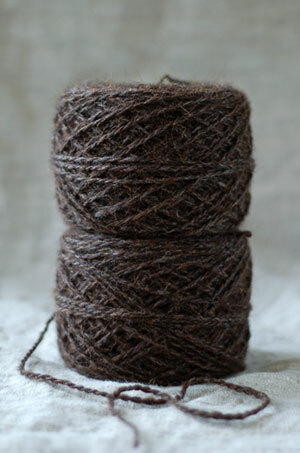 of body yarn has been spun, also. 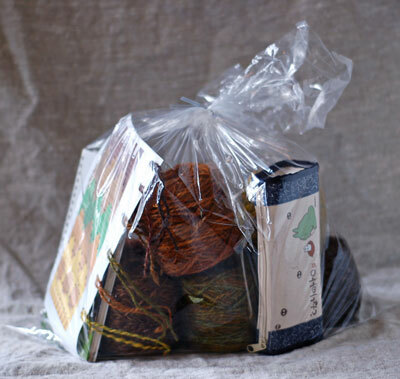 This yarn is a medium softness with very slippery feel and gorgeous halo. This was a real pleasure to spin. Spun from one of these. Two more to go, if necessary. Have a wonderful time!!! Relax!!!!! have the most excellent time! Happy vacation! Hope it is relaxing and fun. it’s going to be gorgeous! Have a fantastic trip! have an awesome time. it’s too bad though that it’s so short. Enjoy! Take lovely pictures! And say hi to the sheep! OOoohh…lucky you. Have a bunch of fun! Have a wonderful, wonderful time! We’ll miss you! Oh, I can’t wait to see this sweater come together! Have a great holiday! Wishes of safe travelling, happy knitting, much relaxing! Have a great vacation! Happy knitting! Hope you have a wonderful and relaxing vacation! The new club fiber is gorgeous, as always. Thanks! i must say you have the cutest logo lambs i ever seen! lovely! Hope your ‘cation was great!! !